In a message released in honour of the Eid al-Adha holiday, Maulvi Haibatullah Akhunzadah said the group remains committed to "Islamic goals," the sovereignty of Afghanistan and ending the war. Kabul: The leader of the Taliban said on Saturday there will be no peace in Afghanistan as long as the foreign “occupation” continues, reiterating the group’s position that the 17-year war can only be brought to an end through direct talks with the United States. In a message released in honour of the Eid al-Adha holiday, Maulvi Haibatullah Akhunzadah said the group remains committed to “Islamic goals,” the sovereignty of Afghanistan and ending the war. Earlier this month, the Taliban launched a major assault on the city of Ghazni, just 120 kilometers from the capital, Kabul. 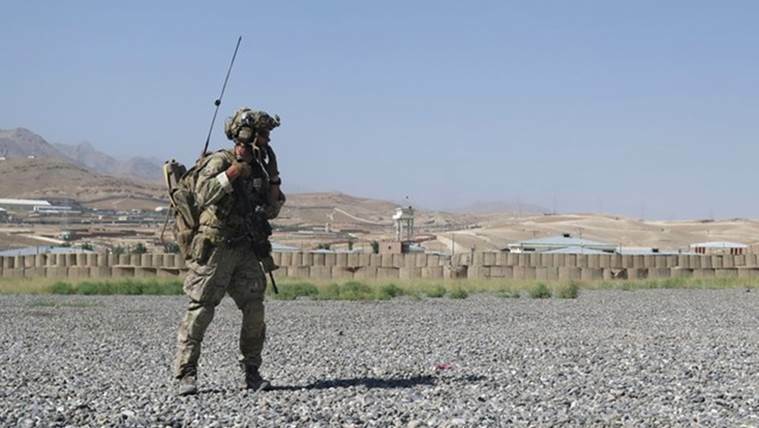 Afghan security forces battled the militants inside the city for five days, as the US carried out airstrikes and send advisers to help ground forces. A year ago, President Donald Trump announced that he would send additional U.S. forces to confront the Taliban. But since then the insurgents’ profile has risen, both on the battlefield and in the diplomatic sphere. The Taliban sent a delegation to Uzbekistan to meet with senior officials earlier this month, and say they recently met with a senior US diplomat in Qatar for what they called “preliminary talks.” The US neither confirmed nor denied the meeting. Earlier this week, the Taliban’s top political official, Sher Mohammad Abbas Stanikzai, led a delegation to Indonesia, where he met Foreign Minister Retno Marsudi as well as Jusuf Kalla, Indonesia’s deputy president, according to a statement the Taliban sent to The Associated Press. The three-day trip ended on Wednesday. The statement said Stanikzai discussed the presence of US and NATO troops in Afghanistan and the need for them to leave if peace is to return to the country, said Suhail Shaheen, a spokesman based in the group’s Qatar office. While in Indonesia, Stanikzai also “exchanged views on bilateral relations,” Shaheen said in the statement, without elaborating. The Taliban have refused to enter into talks with the Afghan government, which they view as a US puppet, saying they will only negotiate the end of the war directly with Washington. The group has said it is committed to regional security and would not pose a danger to other countries. However, it has also demanded the complete withdrawal of all US and NATO forces. Although NATO officially ended its combat mission at the end of 2014, it has repeatedly come to the aid of Afghan forces, and it’s unclear whether the government in Kabul would be able to remain in power without foreign military aid.